David Sutherland began his professional career as a Financial Advisor with Prudential Securities in the mid 1990’s. 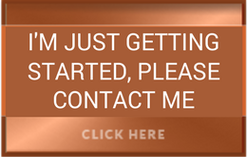 It was after cutting his teeth in the financial world that his new found skill-set of problem solving and a natural gift with clients catapulted him into the Internet Industry where he had successful careers in the Business Development field for both Earthlink Network and DoubleClick. Always being drawn toward people, David sought a career with more tangible rewards. It wasn’t until late 2000 that David would have his opportunity. 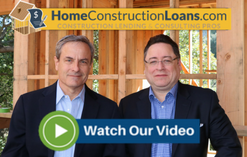 As 2000 came to an end David took a bold step into another career path, the Home Construction Lending Industry. He built this new career starting at Indy Mac Bank where, and after great success was later recruited to join the new Home Construction team at Citibank. At Citibank David remained a top performer arranging for nearly $80 million in fundings in just under one year before the financial collapse of 2008. Always keeping the client’s needs a first priority this led to a new client-centric approach which would ultimately lead David down a new and rewarding path. Ty D. Kirkpatrick began his career in mortgage lending in 1988 after studying Finance and Business Economics at the University of Southern California. For more than 20 years he has helped over 1,500 clients arrange financing for residential homes and commercial projects across California and America. Starting in 1998 he expanded his expertise to construction finance and consultation for both residential and commercial projects. 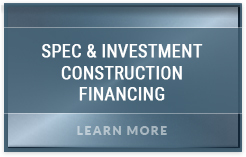 For the next 20 years he assisted over 800 clients in arranging financing for a wide range of construction projects, from high-end luxury custom homes to entire housing tracts and multifamily apartment buildings. Ty developed a broad platform of construction lending and consulting expertise through positions he held at such notable lenders as JP Morgan Chase, Citibank, US Bank and Wells Fargo. 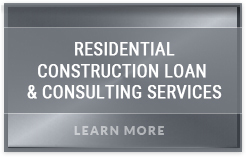 During this same period Ty achieved great success working with direct lenders on a wholesale basis, establishing working partnerships with over 20 separate lenders to bring his clients the widest possible selection of options and flexibility with which to finance construction. In 2006 Ty D. Kirkpatrick was lured away to help develop new construction products and a national platform for Citibank/Citimortgage. He was tasked with assembling and managing a team that would provide construction financing throughout the western United States. Within the first 12 months his team had arranged funding for over 500 projects totaling in excess of $700 million. 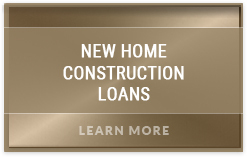 In late 2008 the financial upheaval and liquidity crisis that would impact world financial markets and every bank in America caused a wildly successful construction program at Citibank to cease all lending. It was during this massive and painful contraction of the mortgage market that Ty D. Kirkpatrick and David C. Sutherland seized upon the opportunity to embrace change and grasp an opportunity few get. At a time when 95% of all construction lenders left the marketplace, Ty and David responded by drafting the blueprint for a client-centric set of services aimed at construction consultation by founding Arroyo Consulting Group, Inc. Today they thrive on creating valuable synergies among clients, lenders, builders, architects, developers, realtors and investors, as well as a host of subcontractors and vendors. Today Ty and his wife lead a full life raising three boys in Orange County California.